For years, the extraordinary high-quality cables from the US manufacturer Nordost have been an integral of our of HiFi program. 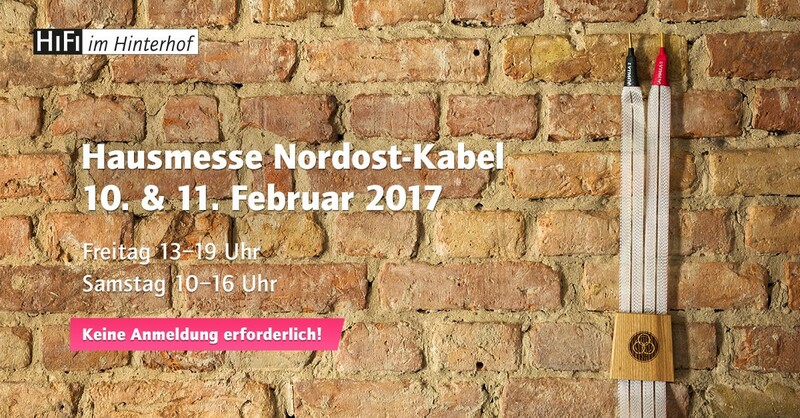 All the more, we are pleased to announce an in-house trade fair on the 10th and 11th of February 2017 which will centre around Nordost products. The company Nordost was founded in 1991 on the east coast of the USA, more precisely in Holliston, Massachusetts and over the years has developed into a wide ranging high-end specialist in the field of hifi accessories. The program ranges from the unique loudspeaker flat-ribbon cables, which mark the beginning of the success story of Nordost, to high-quality analogue and digital audio cables, to high-quality power supply solutions and elements for resonance control. Andreas Proske from the German distribution network Connect Audio is leading the Nordost program taking place on Friday from 1pm until 7 pm and Saturday from 10am until 4pm). The sound effects of high-quality audio cabling will be unquestionably demonstrated. The session timing is not fixed and you are welcome to join the event at point.